Skoltech Translational Research and Innovation Program was created in the frames of Center for Entrepreneurship and Innovation of Skolkovo Institute of Science and Technology. Skolkovo Institute of Science and Technology (Skoltech) is a new private graduate university established in 2011 in collaboration with the Massachusetts Institute of Technology (MIT). Skoltech aims to advance education, scholarship and economic development in the Russian Federation and beyond by educating graduate students and conducting research programs that address key challenges in science, technology and innovation. 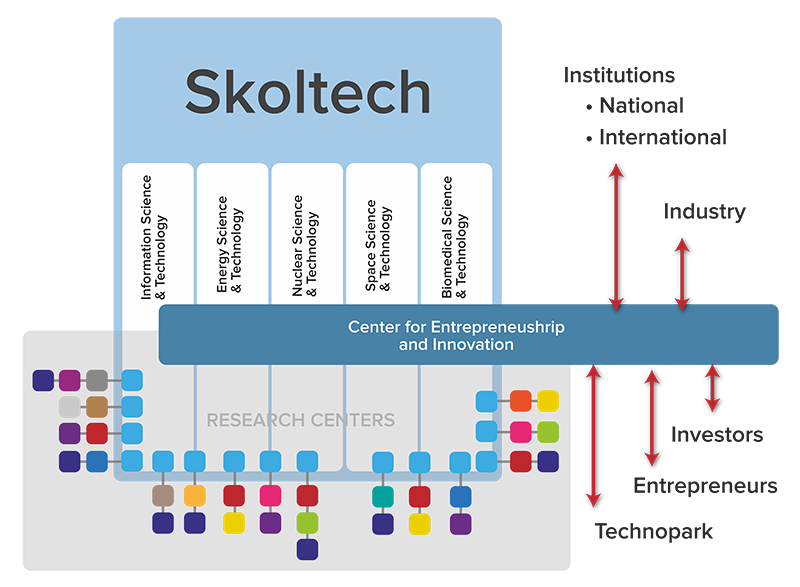 As a key component of Skoltech the Center for Entrepreneurship and Innovation (CEI) is dedicated to integration of innovative and entrepreneurial thinking and activities into the university’s education and research pathways through curricular and extracurricular programs as well as integration of commercialization and administrative services to support knowledge and technology transfer to the community. Skoltech Translational Research and Innovation Program is one of the CEI projects that supports research teams in establishing proof of concept and advancing technology towards commercialization, including pre-startup identification of high potential market opportunities, intellectual property management, and, if appropriate, team development. For more information about Program, please, follow this link.